Active Calculus (2017 edition) may be used as a stand-alone textbook for a standard first semester college calculus course or as a supplement to a more traditional text. Chapters 1–4 address the typical topics for differential calculus, while Chapters 5–8 provide the standard topics of integral calculus, including a chapter on differential equations (Chapter 7) and on infinite series (Chapter 8). In Active Calculus, we endeavor to actively engage students in learning the subject through an activity-driven approach in which the vast majority of the examples are completed by students. We pose problems or situations, consider possibilities, and then ask students to investigate and explore. 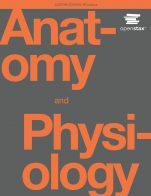 It is not the intent of this text for the instructor or author to demonstrate to students that the ideas of calculus are coherent and true, but rather for students to encounter these ideas in a supportive, leading manner that enables them to begin to understand for themselves why calculus is both coherent and true. 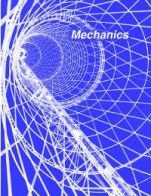 The Active Calculus cover image by James Haefner Photography is used under a CC BY-NC-SA license (https://creativecommons.org/licenses/by-nc-sa/3.0/). 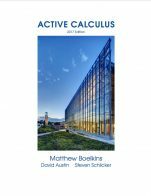 Active Calculus - 2017 edition by Matthew Boelkins, David Austin, Steven Schlicker, Grand Valley State University is licensed under a Creative Commons Attribution-NonCommercial-ShareAlike 4.0 International License, except where otherwise noted.